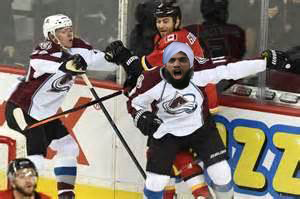 In a deal many republicans are calling “reckless” and “shortsighted”, The Department of Defense has traded the last of the Guantanamo detainees to the Colorado Avalanche. This move follows other controversial deals that have scattered the prisoners into several teams across the National Hockey League. One detainee is already in critical condition after being ‘Zamboni-boarded’ between periods by his own teammates.